2003 : Thierry Dory : The Travelling Talesman : soundtrack. 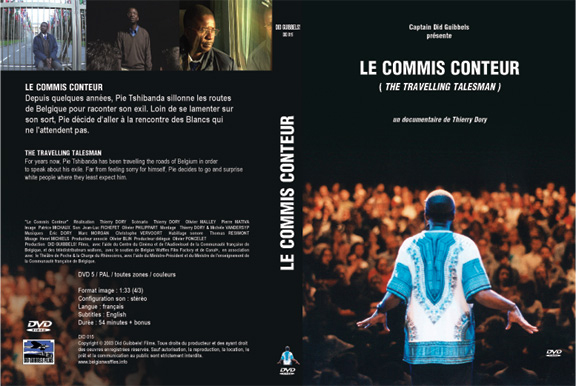 Soundtrack for "Pie Tshibanda - The Travelling Talesman", a film directed by Thierry Dory. Produced by Captain Did Guibbels Productions. Soundtrack produced and mixed by Marc Wathieu at Studio X.Y.Zèbres (Huy, B). .mp3 - 320 Kbps - 3,3 Mo. Marc Wathieu : all instruments.